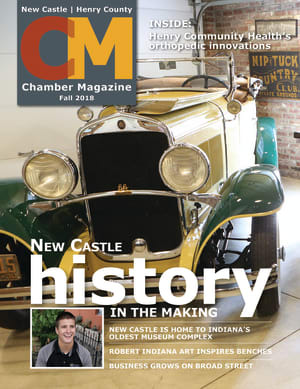 As a corporate sponsor for the New Castle Henry County Chamber of Commerce, you are extending your membership to reinforce the great work the Chamber is doing in our community. Your business is identified as a major stakeholder in furthering the mission and vision of our Chamber. Corporate sponsorship at one of the three levels: platinum, gold, or bronze, allows for additional benefits as listed below. If you are considering joining this elite group of Chamber members and have questions, please don’t hesitate to contact the Chamber office for more details. Fee Schedule for Corporate sponsors can be viewed on the Member Application page.